As of April 1 2010, homeowners and communities who generate their own electricity from renewable or low carbon sources such as solar photovoltaic panels, domestic wind turbines and micro CHP boilers such as the Baxi Ecogen can receive regular payments under the Feed-in Tariff scheme (FITs). The scheme means any property owner with a qualifying renewable energy installation is entitled to claim payment for the electricity they produce, even if they use the energy themselves. The benefits of the scheme are three fold. If you do qualify for the scheme you receive an initial payment for every kilowatt hour (kWh) generated (Generation tariff) and an additional payment for every kWh you export to the grid (Export tariff). And there is also an additional avoided cost benefit for usage of electricity onsite as it will reduce your bills. The tariffs will cover anaerobic digestion, micro hydro, wind turbines and solar photovoltaic panels and aims to provide a return on initial investment in Microgeneration technology. Payments will span for 20 years for solar PV and all other eligible technologies. 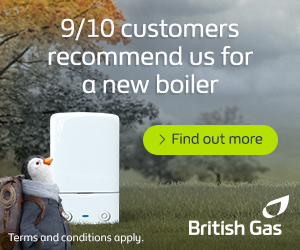 And a number of micro-combined heat and power (Baxi Ecogen micro CHP) installations also qualify for the feed-in tariffs with payment for 10 years. Electricity and gas regulator for the UK, Ofgem, manage the tariff but it is up to the electricity supplier to pay for the generation tariff. On the launch of the Clean Energy Cashback Scheme, Miliband said: “The feed-in tariff will change the way householders and communities think about their future energy needs, making the payback for investment far shorter than in the past”. Electricity and gas regulator for the UK, Ofgem, will manage the tariff but it is up to the electricity supplier to pay for the generation tariff. You can only qualify for the feed-in tariff if you had the technology installed using a product and installer certified under the government’s Microgeneration Certificate Scheme. The rate per kWh available for the generation tariff decreases every year so the rate you begin on depends on when you join the scheme. If you’re looking to install heat generating renewable technologies then the Renewable Heat Incentive will apply, this incentivises the installation of air source heat pumps, ground source heat pumps, biomass boilers and solar thermal systems. If you’re fitting a microgeneration system to a new-build you will receive slightly less money for the electricity you generate. The amount of money you can receive depends solely on the amount of electricity you generate, and how you generate it. For example, if you fit an average-sized 2.5kW photovoltaic solar panel system you will be initially paid 3.93p per kWh generated. On top of that fee you will also receive an added 5.24p for every kWh exported back to the grid. And to make it even more appealing, the income you receive is completely tax-free. [*]: Installations registered 1 January 2019 to 31 March 2019. These tariffs are index-linked for inflation. The Energy Regulator Ofgem publishes updated tariff levels. [**]: This tariff is available only for 30,000 micro-CHP installations, subject to a review when 12,000 units have been installed. Once you’ve decided which technology is best suited to you and your home, you must have the installation undertaken by an MCS certified installer using MCS certified products. You can request quotes for qualifying technologies via the Solar Quotes website. When installation is complete, your installer will register you on the central FIT database and you’ll receive a certificate confirming FIT compliance. Once you’ve received your certificate, you must then inform your chosen energy supplier that you’re eligible to receive the tariff by using your certificate as proof which the supplier can then cross-reference with your installation through the central FIT database. It is then up to you and the supplier to agree payment intervals – a supplier may require meter readings (like gas and electricity readings) so ensure you have an additional electricity meter fitting to measure how much electricity is being fed back into the grid. You can see the latest Feed-in Tariff figures here. NEXT POST What are Biomass Fuels?